Tangle with Fane Lozman at your own risk. The city of Riviera Beach, Fla., did in a case that went all the way to the U.S. Supreme Court. Was Lozman’s floating home a vessel? By a 7-2 vote the justices agreed with him that it was not. The ex-Marine pilot, retired Chicago commodities trader and multimillionaire trading software developer says the Jan. 15 decision can’t rescue his floating home from a landfill, but it vindicated his belief that the boxy two-story structure with no engines or steering was no vessel. U.S. marshals seized it under admiralty law and auctioned it to the highest bidder, Riviera Beach, which destroyed it. The high court’s decision overturned a ruling by the 11th U.S. Circuit Court of Appeals in Atlanta — whose jurisdiction is the Southeast — that a floating home is a vessel. The 11th Circuit’s ruling was at odds with recent decisions in other appellate courts across the nation, the 5th in New Orleans and the 7th in Chicago, in particular. Lozman likes to be in the thick of the fray. Retired to Riviera Beach, he became a civic activist during a 2006 fight against a $2.4 billion city plan to redevelop 400 acres of waterfront into a high-end, residential-commercial-marine district. The project would have pushed out slip holders at the Riviera Beach Marina, where Lozman lived on his floating home, gobbled up 1,700 landside homes, displaced 5,100 residents and closed many small businesses through eminent domain. The activists won the day, but Lozman did not endear himself to city officials. First, he says, they tried to evict him from the marina because he wouldn’t muzzle his 10-pound dachshund, which they described as “dangerous,” and because he allegedly hired unlicensed repairmen to work on his home. He beat back the eviction in a jury trial in state court on grounds it was retaliation. Then the city adopted new marina rules requiring tenants to register their craft as vessels and keep them operational so they could vacate the marina in an emergency. Lozman’s floating home couldn’t comply with the mandates, but he refused to leave the marina, and the city said he failed to pay $3,000 in rent. So it filed an “in rem” suit against his floating home in U.S. District Court, alleging trespass and seeking a maritime lien against the home to the tune of $3,000. Lozman, representing himself, later argued before the district court that his floating home was not a vessel under federal law and, therefore, was not subject to seizure under admiralty. The district court rejected his arguments, found Lozman delinquent in his rent in the amount of $3,039.88, awarded the city $1 for the trespass claim, and ordered the home auctioned. The city attended the auction, submitted the highest bid for the floating home and destroyed it. The 11th Circuit Court of Appeals affirmed the decision, but that didn’t deter Lozman, who was sure he was right and had common sense on his side. His lawyer, Jeffrey Fisher, a Stanford University law professor and one of the nation’s leading Supreme Court litigators, says he was pretty sure Lozman was right, too. Writing for the Supreme Court majority, Justice Stephen Breyer says some lower-court interpretations of the federal definition of a vessel were so broad that, as one judge put it, they could encompass three men in a tub and even Jonah inside the whale. Federal law defines a vessel as including “every description of watercraft or other artificial contrivance used, or capable of being used, as a means of transportation over water.” So is a floating home a vessel? “In answering that question, we focus primarily upon the phrase ‘capable of being used … as a means of transportation on the water,’ ” Breyer writes in his opinion. Breyer says the 11th Circuit Court of Appeals had found that Lozman’s floating home — a 60-by-12-foot, two-story plywood structure with a flat bottom, a 10-inch deep rectangular hull (no rake forward), no motors, no generator, no batteries, no rudder or steering — met that standard because it could float and be towed, and its power cable, water hose and lines could be disconnected so it could be moved. Breyer offered his own more common-sense test for applying the federal definition of a vessel. “We believe that a reasonable observer, looking to the [floating] home’s physical characteristics and activities, would not consider it to be designed to any practical degree for carrying people or things on water. And we consequently conclude that the floating home is not a ‘vessel,’ ” he writes. Key indicators of whether it’s a vessel are the structure’s physical characteristics and what it typically does. Do these suggest to a “reasonable observer” that “to any practical degree” the structure was designed to transport people or things on the water? So another indicator is, “Was it in any practical way designed to carry people or things on the water?” Lozman’s home flunks the test. The case — Lozman proudly asserts that many are now referring to the decision as the “Lozman rule” — drew a lot of interest in the world of admiralty law. The American Gaming Association, representing 61 dockside casinos, filed a friend of the court brief supporting Lozman because the 11th Circuit’s ruling could put workers on dockside casinos under the jurisdiction of the Jones Act, which protects seamen. 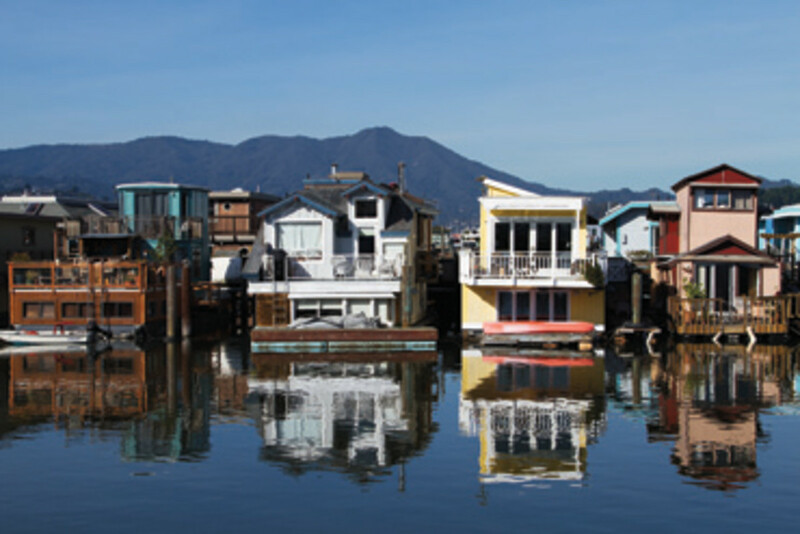 The Seattle and Sausalito floating home associations, representing 500 floating home owners, also sided with Lozman, arguing that if the 11th Circuit’s decision were upheld it would “radically alter” the rules affecting floating homes by bringing them under admiralty instead of local and state law. Even the U.S. government came to Lozman’s defense, saying the 11th Circuit’s definition of a vessel would needlessly bring floating structures under the Coast Guard’s safety and inspection regime. The National Marine Bankers Association, on the other hand, threw its weight behind Riviera Beach, thinking the appellate ruling provided a “clear and objective standard” for determining what a vessel is for the trade group’s purposes, which is making loans and securing them with maritime liens. Breyer, writing for justices John Roberts, Antonin Scalia, Clarence Thomas, Ruth Bader Ginsburg, Samuel Alito and Elena Kagan, says that test encompasses way too much. “But for the fact that it floats, nothing about Lozman’s home suggests that it was designed to any practical degree to transport persons or things over water,” he writes. That’s Breyer’s contention, too. “We believe the criteria we have used, taken together with our example of its application here, should offer guidance in a significant number of borderline cases where ‘capacity’ to transport over water is in doubt.” He says the high court’s formulation is far better than the overly inclusive “anything-that-floats” test. In a dissenting opinion, Justice Sonia Sotomayor, joined by Justice Anthony Kennedy, thought the majority’s reliance on a “reasonable observer looking to the [craft ’s] physical characteristics and activities” to discern whether it was designed to carry people or things on the water introduced a subjective element that would cause confusion. In borderline cases in which something may not look or act like a boat, the city may have to err on the side of caution and decline admittance, she says. Ryan believes the marina will have to write its own definition of a vessel and use that as its litmus test. She says it also will have to work out contract language for dealing with vessels that change their status during their stay at the marina — for instance, if they jettison or lose use of their engine or engines so they no longer can move in or out of the marina on their own power. 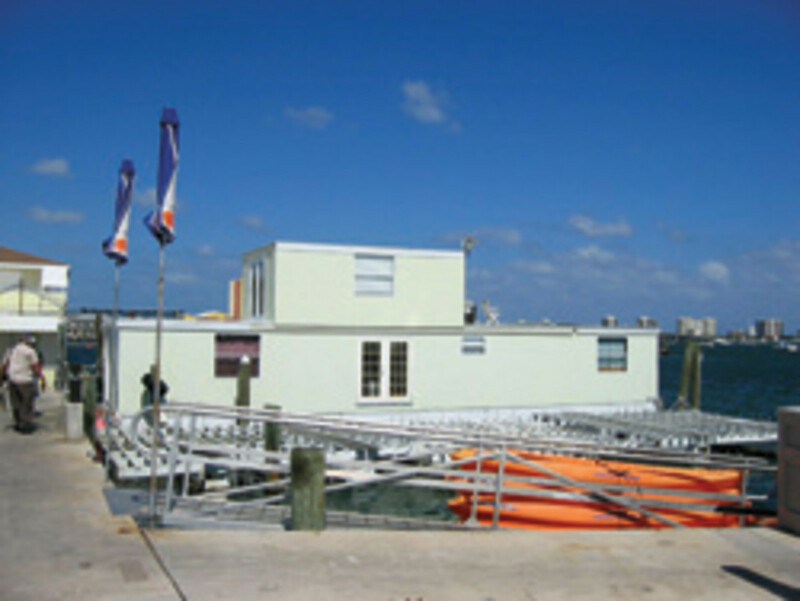 The Riviera Beach Marina, which recently underwent an $11 million renovation and expansion, allows liveaboards, but Ryan says the city does not want the marina to become anyone’s permanent home — or, as state law describes it, “homestead,” which could take the vessel into that borderline area where it is not behaving like a vessel. “We’re still working out the kinks,” she says.